Fashionable resorts, beautiful sandy beaches, cosy terraces, Provencal markets and breathtaking mountain villages. 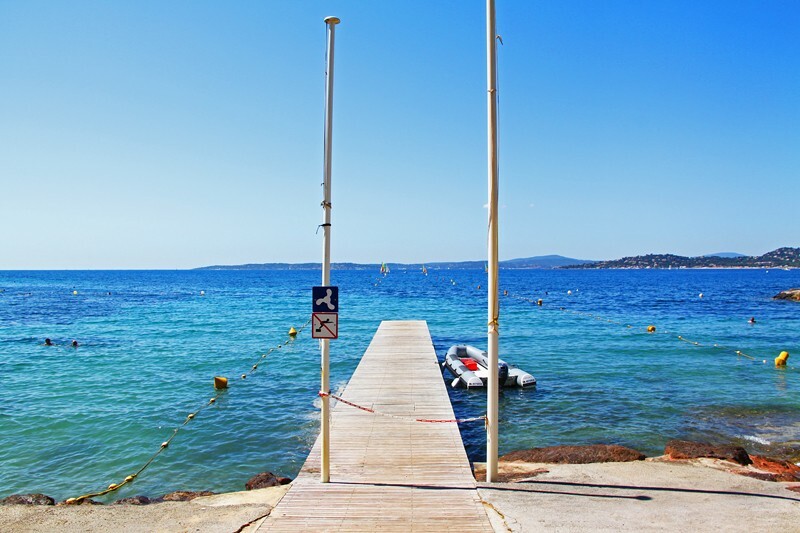 Sainte-Maxime is a popular southern French resort in the heart of the Gulf of Saint Tropez. Because of her beautiful, long sandy beaches, charming town center and its convenient location between Saint Tropez and Cannes, it is an ideal destination for a family holiday in southern France. 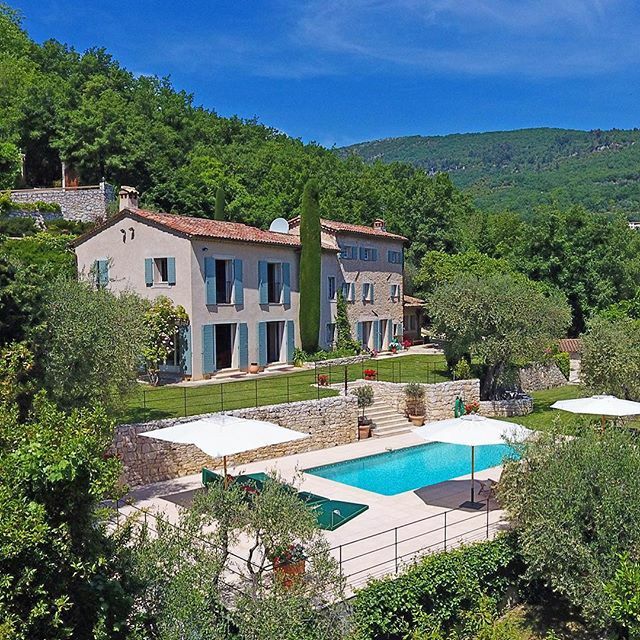 Within easy driving distance are the mundane Beauvallon with its famous golf course and inland the charming Provencal village of Le Plan de la Tour. Walking along the Promenade Lorière Simon, the beautiful, long boulevard with plane and palm trees, you get the real Riviera feel. Just a game of jeu de boules with the locals, an ice cream at Fleurs d'Italie, a glass of rose on the terrace at Le Wafou, strolling along cozy shops in the pedestrianized streets, a visit to the covered market, good food in one of the many restaurants or take the ferry boat to cross just to Saint Tropez. Sainte-Maxime has it all! 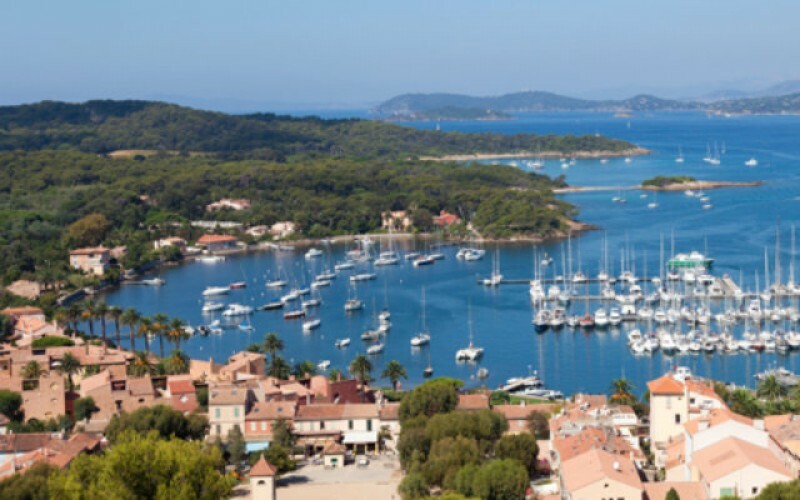 These two beautiful coastal towns, surrounded by the larger Sainte-Maxime and Frejus Saint-Raphael, are an ideal destination for a family holiday in southern France. In particular because of the beautiful long sandy beaches, relaxed atmosphere and convenient location. Don't forget to visit the medieval town of Roquebrune-sur-Argens! 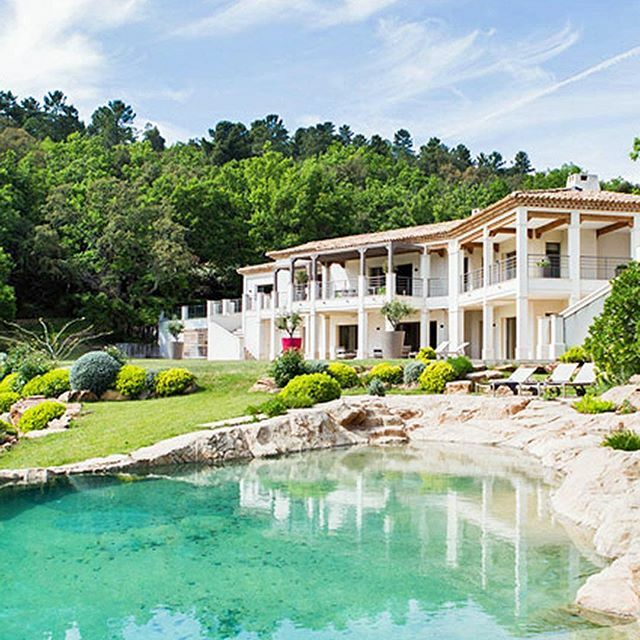 From small fishing village to cosmopolitan southern French resort. The place where Brigitte Bardot became a world star, thanks to the film Et Dieu Crea la Femme. 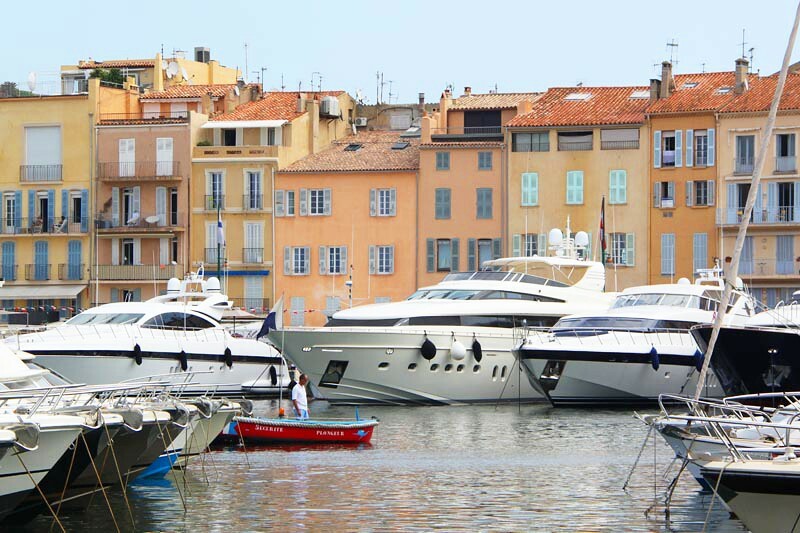 Saint Tropez - despite its many visitors - should noy be missed! Not only because of its beautiful location in the heart of the Gulf of Saint Tropez and its famous harbor with its luxury yachts. But also because of its cosmopolitan, charming town center with trendy shops, the world famous Le Marché and the swinging nightlife. It happens in Saint Tropez! Within easy driving distance you can find the famous beaches of Pampelonne with exclusive beach clubs. 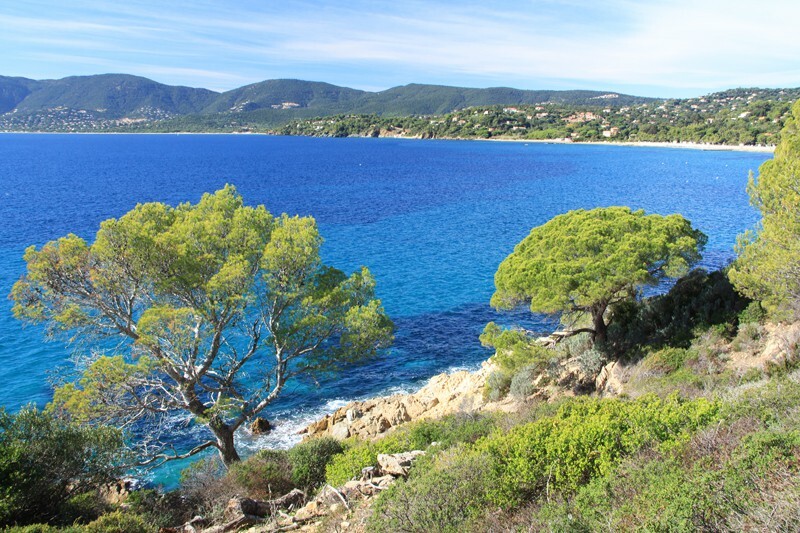 In the foothills of the Esterel Mountains, north of Fréjus-Saint-Raphaël, you can find one of the most beautiful areas in Provence. Here are the beautiful 'villages perchés', such as Fayence, Seillans and Mons. Medieval mountain villages, where you will find many remnants of the past. Montauroux and Callian are a good starting point for a family trip to the stunning Lac de St. Cassien. In the wooded area of ​​Bagnols, St Paul en Forêt and Tanneron you can hike. Strolling through pittoresque markets, you will experience the true beauty of Provence. Tourettes is best known for the Terre Blanche golf course. Back in the 19th century, Cannes was a popular winter resort for the English aristocracy, mostly because of its excellent climate. That aspect is still visible in the many impressive hotel palaces and aristocratic villas. In the upper old town of Le Suquet, you can taste the atmosphere of the former fishing village. But today, Cannes is best known for the annual Festival de Cannes. 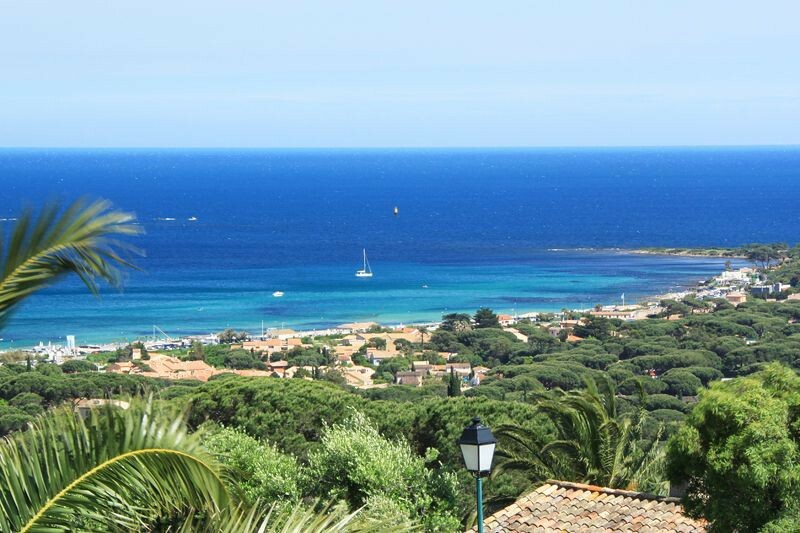 The coast towards the chic Mandelieu La Napoule and Theoule sur Mer offers beautiful views over the red Esterel. The village of Les Adrets is located in the mountains and has a nice view over the French Riviera. 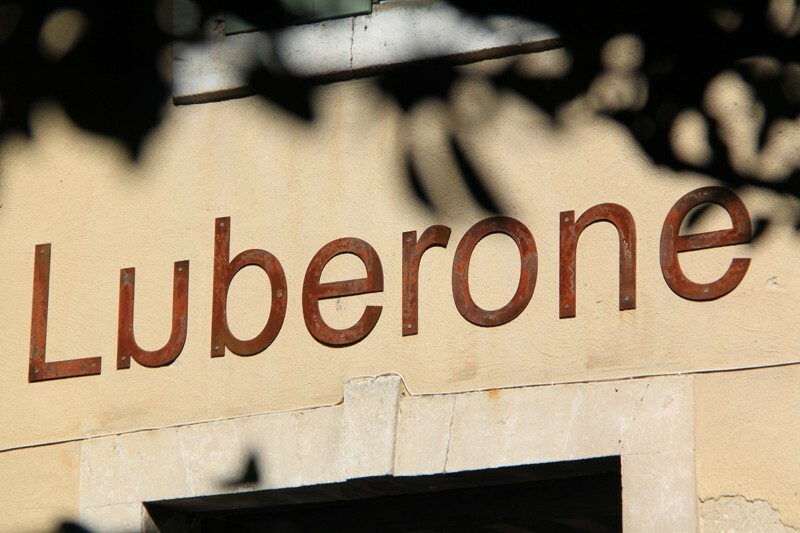 Nearby you can find the fashionable Juan-les-Pins and Antibes with its Musee Picasso. Do not forget to visit the beautiful preserved artists village of Mougins! The Pays de Grasse is characterized by beautiful rolling hills dotted with posh residential areas and flower plantations for the perfume production. Ever since the 17th century Grasse is known for manufacturing perfumes and it enjoys the reputation of being world's perfume capital. 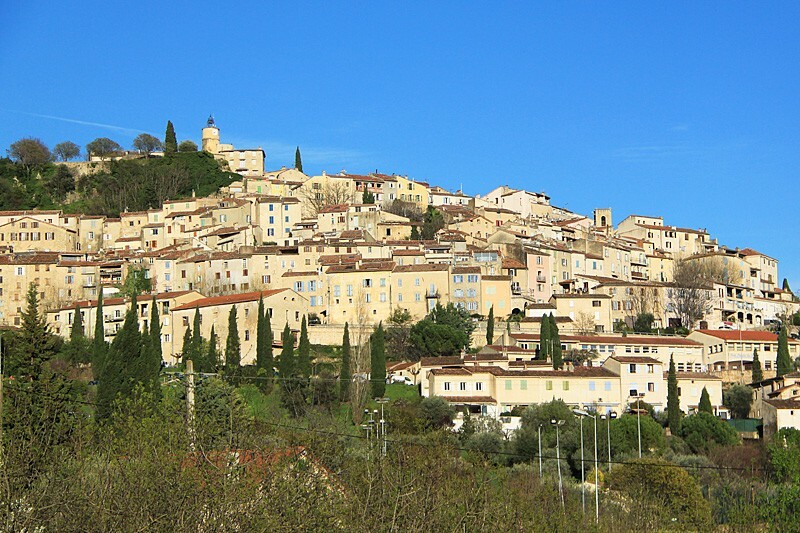 Around Grasse are several lovely Provencal villages like Mouans-Sartoux. Auribeau-sur-Siagne, Le Tignet or the little charming villa of Cabris. More posh are the villages Valbonne, Opio, Roquefort-les-Pins and Le Rouret. There you will find many beautiful villas, luxury shops and lovely restaurants. Plage Gigaro, close to La Croix-Valmer and Cavalaire-sur-Mer, is a favorite spot for southern France insiders. The golden beach on the south side of the presqu'île (Peninsula) de Saint-Tropez is a popular outdoor area. Tourtour, Bargemon and Aups: old villages located in a beautiful but quiet area North-east of Draguignan. Discover breathtaking mountain villages like Claviers and Callas. More to the west is the village of Salernes, best known for the hexagonal ceramic floor, Aups with its famous truffle market and the pittoresque mountain villages of Tourtour and and Cotignac. Don’t forget to visit the caves of Villecroze. Or take a scenic walk to the waterfall of Sillans-La-Cascade. The highlights of this area are undoubtedly the Lac de Sainte Croix, where you can enjoy water sports and hiking. 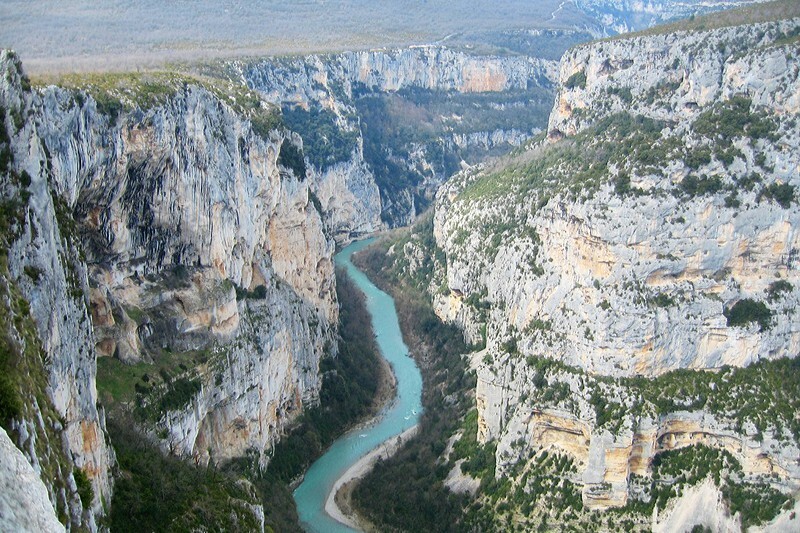 and of course the Gorges du Verdon, where you can drive through the long, winding Route de Cretes, with its panoramic views. Fréjus and Saint-Raphaël, two ancient Roman coastal towns of origin, are located next to each other and are therefore always mentioned in one breath. Today it is a popular holiday destination for families with children because of its beautiful sandy beaches, lively promenades and festivities in the summer. 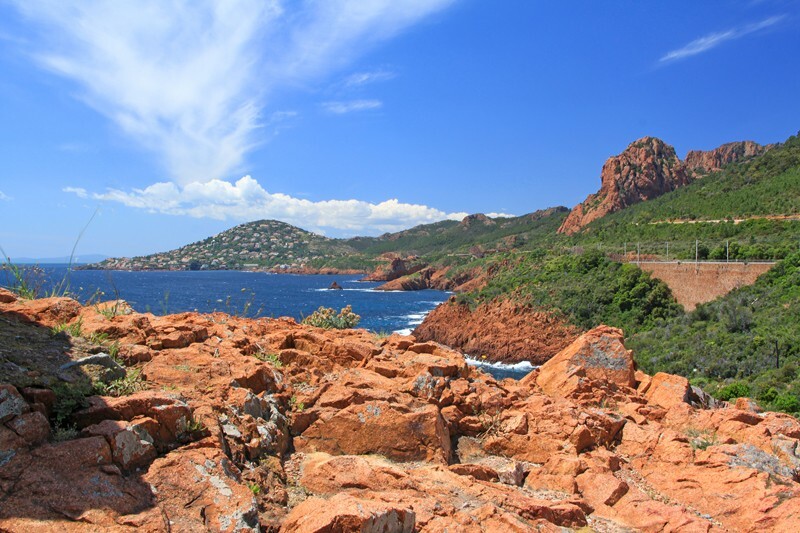 Due to its location (between St Tropez and Cannes and the Esterel mountains), Frejus-Saint-Raphaël is also a very good starting point for day trips, bike rides and walks. Especially in Fréjus you can find many remains of the Roman era. Visit the small coastal towns Anthéor, Le Trayas and Agay as well. In the Provence Verte you will see pines and green oaks everyhwere alternated with vineyards and medieval villages. And even in summer, it is wonderfully quiet. You can enjoy the wonderful nature whether it is by bicycle, walking, on a horseback or in the water, in the Provence Verte you will have numerous options to enjoy all kinds of outdoor activities. 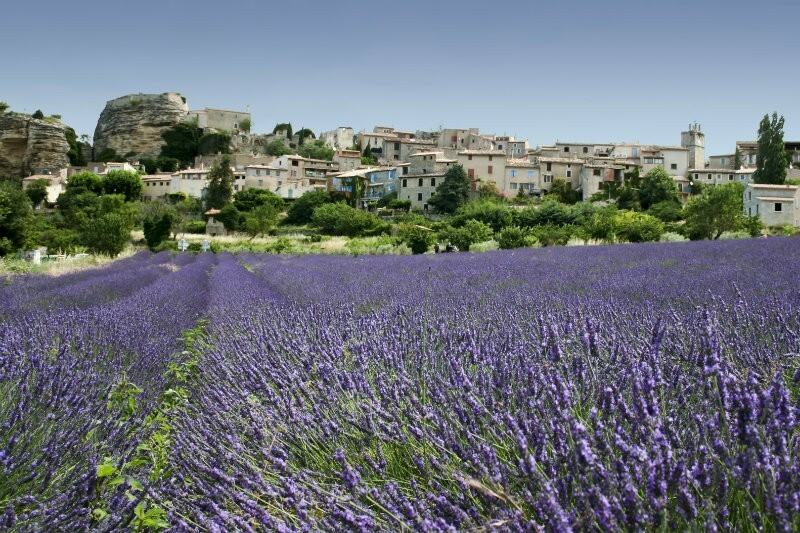 Around the Provençal town of Draguignan are the famous vineyards of the Côtes de Provence. The last few years many people chose this lovely area for a holiday destination. Especially Lorgues is popular, a typical Provencal market town with a medieval center surrounded by a beautiful landscape of pine forests, oak trees, olive groves and vineyards. Nearby are picturesque villages such as Carcès, Taradeau, Vidauban, St Antonin du Var, Les-Arcs-sur-Argens and the charming mountain village of Flayosc with its good restaurants. In Thoronet is the famous Abbey, surrounded by lavender fields. 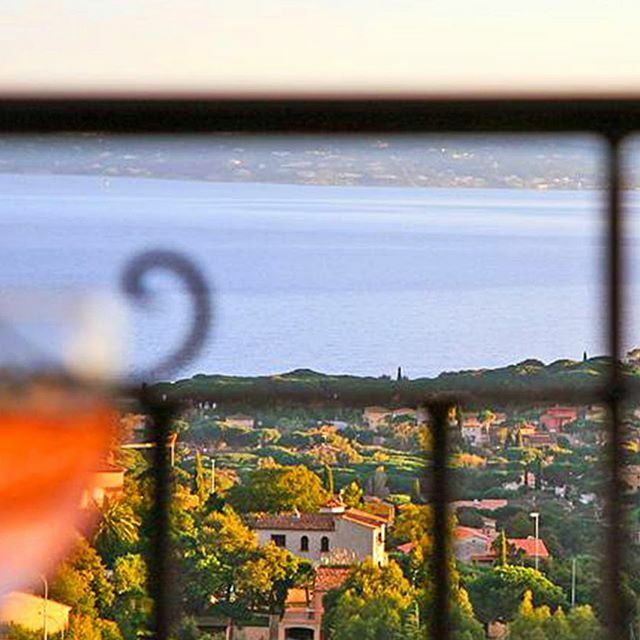 Try also the delicious typical Provencal rosé on one of the many vineyards. Or go have a truffle dinner at Restaurant Bruno in Lorgues. East of the A7 between Avignon and Aix-en-Provence you can find an unique piece of Provence. The uniqueness lies in the degree of perfection. Rarely do you see a region where ancient villages with their fortified towns and manor houses are being renovated and restored as carefully as in the area of ​​Bonnieux, Lourmarin and Gordes. It almost seems as if every stone is picked up, cleaned and put back. As if each piece of green is cut by hand into the desired shape. The elegant resort of Nice has been popular since the end of the 19th century because of its beauty, lively seafront and beaches, unique historic buildings, many excellent museums and its exceptionally beautiful climate. The 7 km long Promenade des Anglais and the colorful daily market Le Cours Saleya are now world famous. 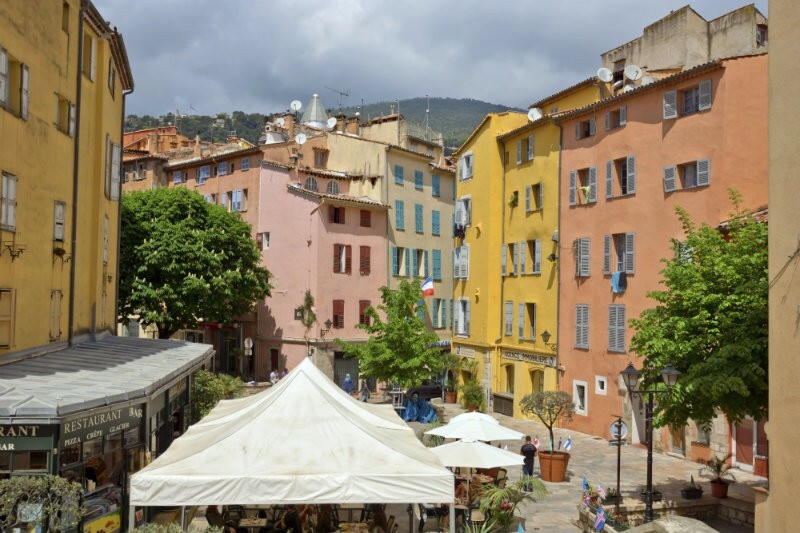 Within easy driving distance are the pittoresque artists' village of Saint-Paul de Vence and the pretty seaside town of Villefranche-sur-Mer. 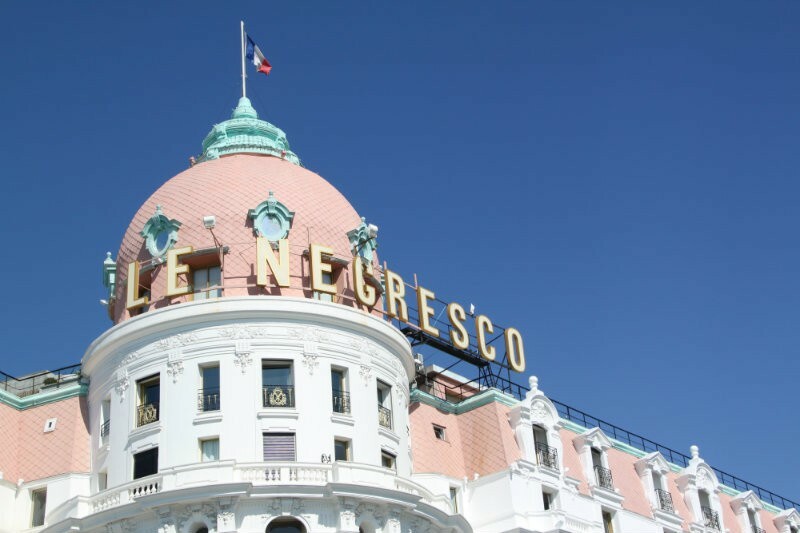 Nice is the leading city on the Côte d'Azur, a modern metropolis and fifth largest city in France with a population of which half is under 40. 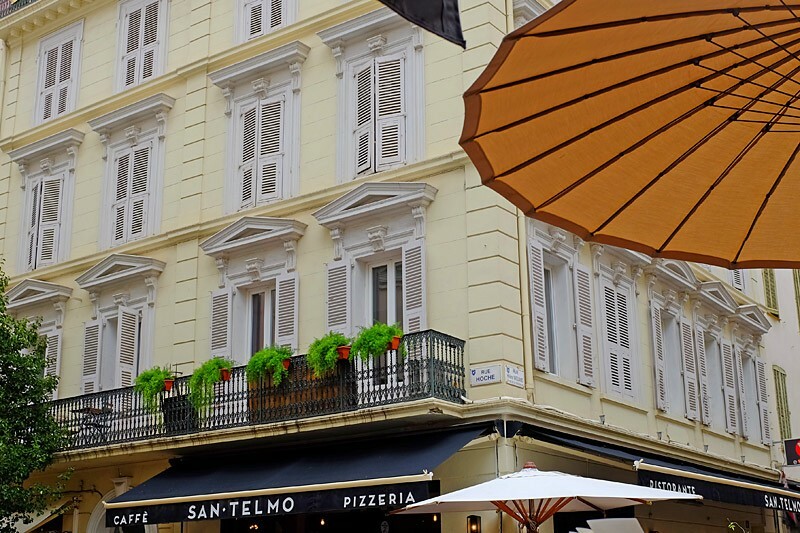 But nevertheless, the city still has still managed to preserve its charm of an old Mediterranean town, where life is good. 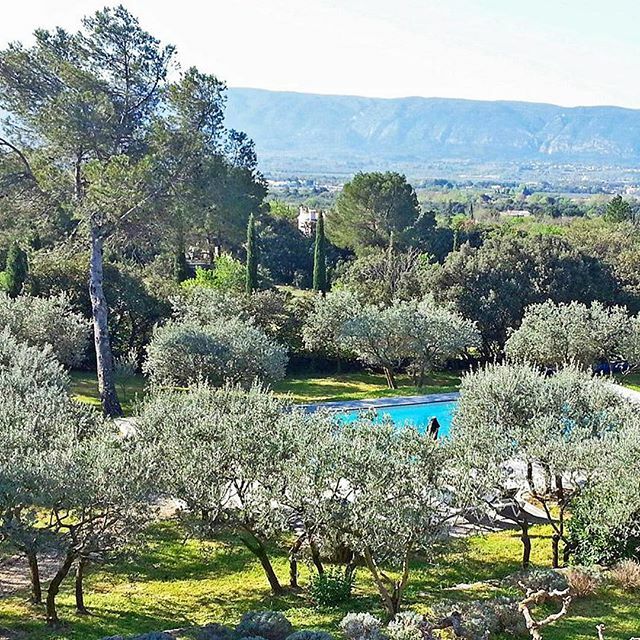 In a triangle located between Avignon, Arles and Salon-de-Provence surrounded by the famous rivers Rhône and Durance you can find the regional nature park from the Alpilles. This region is known for famous writers and painters, the special light and the many colours. None other then Vincent van Gogh was inspired by the Provencal landscape; he spent about three years of his life in Arles and Saint Rémy de Provence. 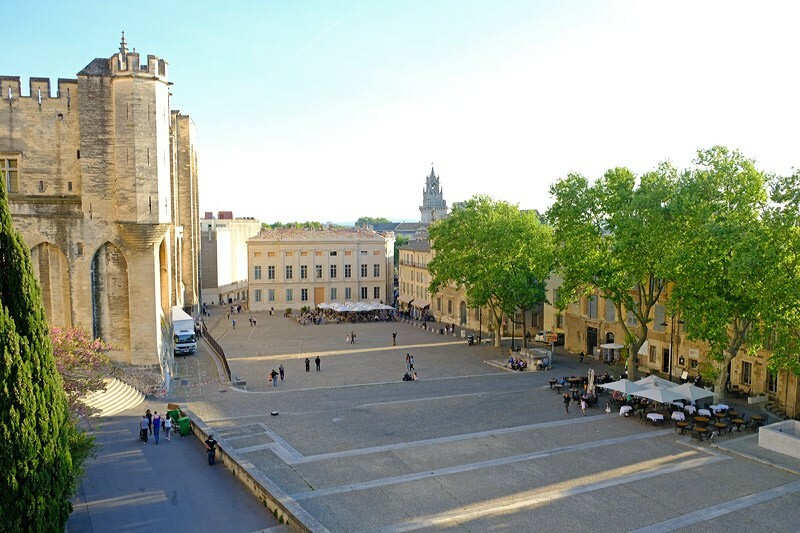 The Papal city Avignon is very popular and has a old town centre with the lavish and enormous Palace of the Popes as center point.